The Infinite Way is filled with the spiritual ideas and principles that are the foundation of The Infinite Way message. Goldsmith inspires, and possibly surprises, the reader with statements such as “Immortality is attained in proportion as personal sense is overcome … and that can be achieved here and now;” “Spiritual illumination enables us to discern the spiritual reality where the human concept appears to be;” and “To many, the word Christ persists as a more or less mysterious term, rarely if ever experienced by them. This we must change if we are to benefit by the revelation of a divine Presence of Power within us. 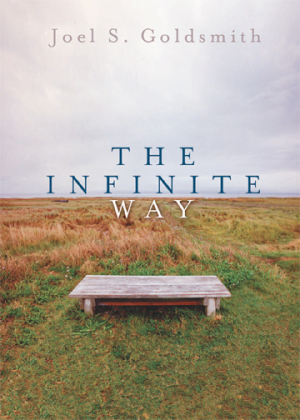 Jesus told his disciples that they too are the Light of the world.” In this book, Goldsmith gives the reader the richness of the spiritual principles that constitute the message of The Infinite Way.